This Frequently Asked Questions (FAQ) blog post was pulled from interesting 'third eye' related Quora questions I answered and assembled here for reader convenience. Please feel free to post questions of your own in the comments below. Q1: Is the third eye real? 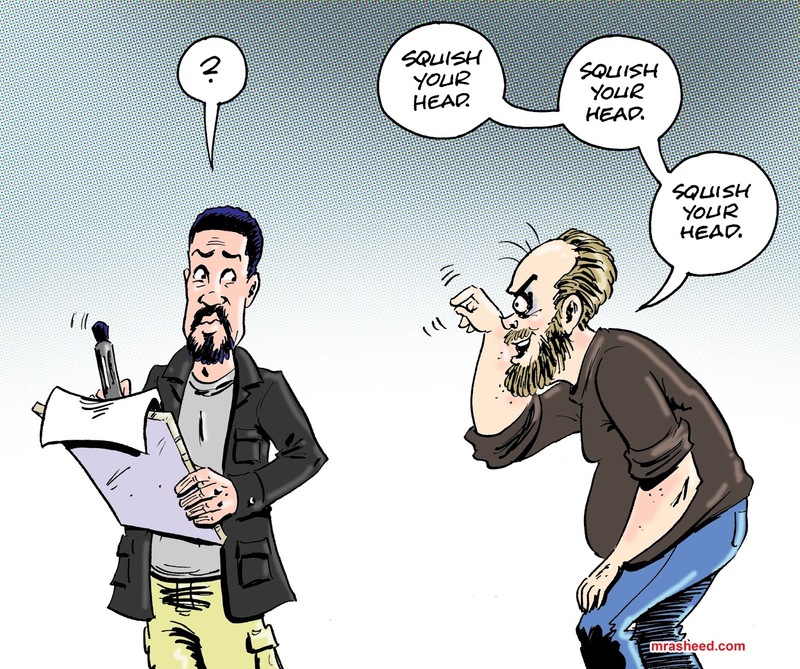 How did this term originate? The third eye is very real. I can definitively proclaim this with assured confidence because – much to my amazed delight – I had my first such experience at the beginning of this month (July 1, 2018), which formally initiates me into the “Followers of Second Sight” (“Shemesu Heru” in Ancient Egyptian, which I personally prefer). As one can imagine, I am very excited, rejuvenated in my faith and certainly hope to have many more third eye experiences in the future. The phenomenon commonly called “third eye” isn’t an eye at all, but a form of inter-dimensional portal that appears to open approximately 6 inches in front of your brow during an elevated endogenous DMT-triggered, altered consciousness trance. In my case, even though the jagged-edged, round-ish hole that opened didn’t really look like an “eye,” it isn’t really too much of a leap that the over-poetic ancients would label it that way since you are “seeing” through it. Especially so when you consider that the vast majority of cosmological stellar patterns don’t accurately favor the well-known constellation symbols assigned to them by those same ancients either. I’ve documented my experience on my blog, with my analysis and speculations, for those who are interested in my perspective of this wonderful concept. Q2: Do we see ghosts and spirits after opening third eye? The third eye portal shows you sights into a scenario—or just abstract-esoteric imagery—that will aid you in your journey in some way. Your job is to meditate on this information throughout your lifetime, and pull knowledge from it to guide you. If the forms of otherworldly entities will be relevant to that journey for you somehow, then you will be allowed to see them. When I had my own third eye opening experience at the beginning of this month (July 2018), I saw no such entities. Q3: How does it feel after your third eye is opened? During my own third eye opening experience (and hopefully the first of many more! ), I felt a carry over of the excited energy build-up sensation I experienced in the several minutes just prior to its opening. The sensation was tingly, but not unpleasant, and while I looked into the eye, I felt that energy rapidly dissipating, which gave the unmistakable feeling of a countdown. I remember feeling that even though my sense of vision was all I had in the moment to attempt to absorb the experience in the very short time I had to do so, that it was enough. My sense of vision seemed super-charged and I looked EVERYWHERE! with an intense focus. The forces involved noticeably wouldn’t allow me to spend too much time trying to study too much detail in any one thing; I was clearly being guided to use my vision to take in as much of the experience as possible. I was blessed to have been read up on the topic, so I knew what was going on the instant it started. When it was over, oddly I didn’t feel sad that it was over so much as I wanted it to happen AGAIN. I felt a strong feeling of gratitude, and an “I can’t believe this happened to ME!” feeling that was nearly overwhelming. I remember in the aftermath feeling that the experience was all I wanted to think about. Q4: Is it haram to open the third eye? It is not ‘haram’ or unlawful to open the third eye, because we actually have no control over whether it opens or not. The third eye experience is a Sign of Allah, and it happens in order to assure a sincere believer that his/her walk on the righteous path of the One God was correct, blessed and approved. It’s my opinion that this is at least stage one of the “enlightenment” concept. I would caution one against attempting to ‘jump the gun’ so to speak by performing the rituals designed to tempt the third eye to open if you have been sinfully neglectful in adhering to your duties as a believer. 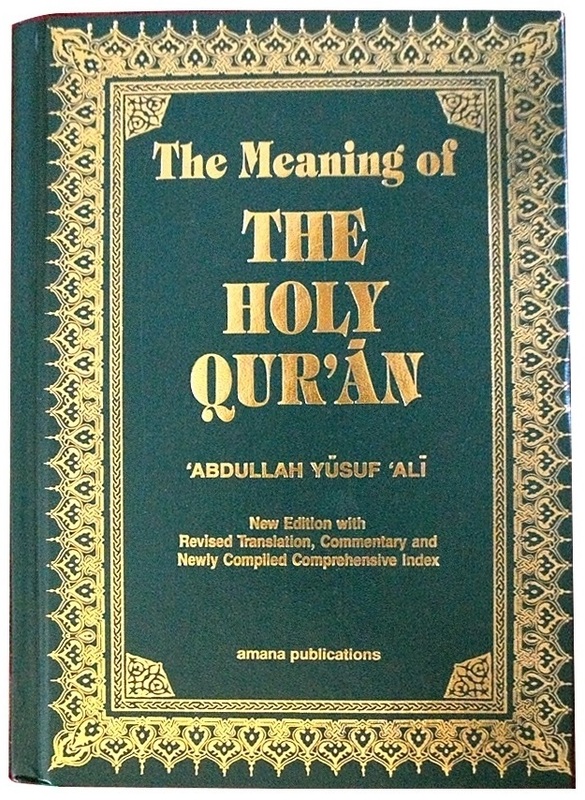 In addition to almost certainly being a demonstration of disbelief in the unseen requiring a vulgar “proof” before you will allow yourself to submit to the One God’s commands, doing so also very well may be a form of deifying the third eye experience itself and turning a beautiful, high-level spiritual gift of Allah into soul-damning shirk. Q5: Does smoking DMT open your third eye? Neither ingesting N,N-Dimethyltryptamine (DMT) by the various means, nor performing the different types of ritual (like that of ‘correct meditation’) to elevate your own endogenous DMT, will of themselves open the third eye, but they do create the physical and spiritual conditions similar to the third eye opening event’s background experience. The point of doing any of this is in hope of tempting the third eye to open for us, which is not an event we actually have control over. Once an experienced ‘shaman’ has developed a relationship with the forces in control of the third eye opening (for a Muslim that means you strive to uphold the Five Pillars of Al-Islam as a sincere believer, do good, reject evil and repent when you mess up), conditions will eventually be achieved whereas performing the correct rituals will seemingly give the illusion that the practitioner is the one making the event happen. Q6: What are signs that my third eye is opening? In the minutes prior to my own third eye opening experience, I felt the tingly build-up of the “Serpent Fire of the Universe” energy (called Sekhem, Qì and Kundalini in Ancient Egyptian, Chinese and Sanskrit, respectively) coursing around and through me. Since I wasn’t meditating at the time, I had no idea that’s what was actually going on until I suddenly found myself staring excitedly at the veil between realities with the third eye opened in it brightly, approximately 6 inches in front of my brow. Interestingly, there was no Hollywood animation-like transitional effect before the third eye appeared; first I was looking at the routine background life of “universe normal,” and THEN I was looking at the third eye. I suppose there could have been an opening effect that was simply too fast for my senses to detect though. The experience was unique enough that I have little doubt I would recognize the preliminary third eye opening signs should I find myself blessed to be in that state again. Q7: Is it okay in Islam to open the third eye? The third eye opening event happens independently of us as a milestone in our spiritual walk. Because of this, we have no control over whether it happens or not, and all we can do is perform correctly in life to meet the requirements that the third eye may open. This is no different than how we as believers are to walk the Righteous Path so that when we are Judged by the One God on the Last Day, we will have met the requirements to achieve the reward of paradise. The third eye event is like a mini-Judgment Day quiz/exam, performance review and “Good job!” pat-on-the-back along the way, and it is Good News. So for you, attempt to open the third eye by adhering to the Five Pillars of Al-Islam, do good deeds in the earth, reject the temptations for performing mischievous acts and repent when you mess up. Do this diligently; build up the habits of righteousness and achieve mastery in your faith, and you may have a third eye event happen, or if not, you may still delight in the certainty of receiving your Record of Deeds within your right hand, and attaining paradise—the ultimate achievement for a human being! That’s how I advise all sincere seekers of truth to open the mystic third eye... by obeying Allah and scoring your brain tissue with the ‘marks’ of the sincere believer by building up the habits of righteous deeds in your life. Q8: What does it mean when someone is third eye blind? To be blind in the third eye, is to be deadened in spiritual growth. It means the third eye blinded have lived a life of total focus on the empty, finite lusts of the material world, instead of on the promise of eternal realms of life hereafter. The third eye blind are apathetic to and/or disbelieving of the spirit. They live a life of fleshly pursuits and set aside nothing for the higher purpose of their existence. Q9: Can I see my third eye when I closed my natural eyes? I was blessed to have my second spontaneous third eye opening experience this morning of Sunday, July 15, 2018. Even though I had told myself that I would be on the look out for the tell-tale signs that it was about to happen again after the previous event, this was not to be. 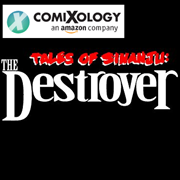 I was too distracted with the hustle-n-bustle of the day to notice the ‘Serpent Fire of the Universe’ creating the tingly sensation around me. When I did notice, I opened my eyes to find myself once again confronted with the UDJAT Wisdom Eye of legend opened in the veil between realities, taking up my entire field of vision. To be clear, I saw none of this while my eyes were closed and I half wondered why I wasn’t falling asleep yet. It was only when I opened my eyes was I able to free my consciousness to experience this miraculous event. Q10: How long does it take to open your third eye? That’s a great question. I personally first started researching the third eye phenomenon back in 2004, I had my first third eye opening experience on July 1, 2018, and my second one this morning on July 15, 2018. Naturally, a lot has happened in life during those first 14 years, including the achievement of mastery in my faith in the One God, with the mandatory consistent ritual habits of the religious believer. 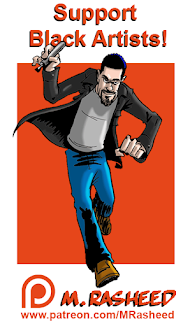 But in these last two weeks or so, it seems I have some kind of building momentum going. To be sure the first event strengthened my faith to a comically noticeable degree, causing me to double-down in devout worship to my Lord. I can’t say my faith had always been as rock solid as I wanted it to be during the previous 14 years though, and perhaps in these last few years I was able to really get there and trust God with my whole heart. So realistically, if I’m honest, it really took a solid three years to have my third eye opening experience. That’s how long it took me to master my personal faith walk, the prerequisite to having the unseen forces find me worthy enough to open for me. Q11: Has anyone "opened" their "third eye" and want to explain what it's like? Is it scary? Do you regret it? Yes. So far I have had two amazing, spontaneous third eye opening events this very month (July 2018). The experiences surprised me both times since they happened without being preceded by traditional meditation techniques (meaning I wasn’t trying to have the experience on purpose when it happened). Neither event was frightening. In fact, I felt delighted during and immediately after, and was eager to have another one. I felt deeply touched that it happened for me at all. By the nature of the third eye opening experience, there’s literally zero reason to regret it happening. It actually means you’re winning at life itself. Q12: Is it dangerous to open the third eye? The third eye opens as a milestone in our spiritual journey, and is a formal acknowledgement that we are on the Straight Path of Righteousness and have successfully navigated it to a certain point of its challenging length. During an endogenous DMT trance, the opening third eye takes the form of a round-ish hole within a variously-hued membrane that fills our entire vision. At what appears to be approximately 6 inches in front of the brow, the third eye ‘hole’ opens into some mysterious time/place, or even just shows a serious of symbols/glyphs, that it directs you to focus your vision for wisdom. All of this is good. I can vouch that the feelings produced are very pleasant and exhilarating, as I have experienced the Wisdom Eye opening for me twice now. There was literally nothing dangerous about the third eye event. It functions basically as a “Good job!” from the unseen forces at work, and is designed to encourage you to stay on the Path. Yet there is a very real danger. It comes not from the third eye event itself, but from our own human weakness. Some among us have a tendency to slack off once we’ve reached a hard-won milestone—slack off, and even backslide into abandoning the race altogether from a false sense of “I’ve made it!” experienced in the aftermath. So should you be one of the very fortunate ones to experience the third eye opening phenomenon, just remember that the race hasn’t been won yet! Stay focused and keep going. Stay on the Path. Q13: What are the meditation techniques for opening the third eye? The pineal gland secretes melatonin, which is well-known as our body’s wakefulness/sleep state regulator, but more importantly, it also secretes the amounts of melatonin’s analog molecule N,N-Dimethyltryptamine (DMT) which is needed for the mammalian brain to experience altered states of consciousness. The precise dosage of endogenous DMT our pineal gland provides allows us to see the edge of the veil between realities, and the forces on the other side determine whether to open a hole — the mystic third eye — within the veil, for us to see what we need to see for continued spiritual growth. Atrophied Eye, O Atrophied Eye, where are you? O you who are in front of the Immortal-Half, where are you? You are in the Immortal-Half so that you may be set-in-place in front of the seer, so that you may cause bliss for him who carries you, so that you may cause to be a spirit him who carries you, so that you may cause him to be Serpent Powerful in his Eternal Body, and so that you may cause respect for him in the two-eyes of all spirits, they who shall look at him or anyone who shall even hear his name. Keeping your gaze forward and slightly up so that you are looking at the center vision area where your two eyes cross over one another (see: fovea spot). Avoiding the deliberate distractions of the mysterious “threshold vision entities” by glancing quickly down to the left and then promptly back up to the fovea spot area. This deceptively simple ritual is enough to build up your body’s natural DMT—corresponding on the other side to the build up of the ‘Serpent Fire of the Universe’ energy (Sekhem/Qἰ/Kundalini). This is the technique designed to get you to the event horizon of the third eye opening event. If the forces in control find you worthy in your sincere spiritual walk, it may then open for you. Q14: What are your feelings about your third eye, opened or closed? I’ve seen a lot of negative comments over the roughly 14 years of my study into the third eye phenomenon, with skeptical outsiders suggesting that it’s just a trick of the mind misleading the practitioner. No, it’s not misleading us. Our brain is powerful in exactly that way, enabling us to expand our consciousness into different realms, using ancient herbal technologies that adjust the dosages of DMT. This is in fact our humanizing factor, responsible for our knowledge of spirit, our religion, and ultimately the building of our civilizations over the ages. 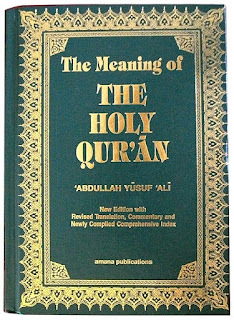 The Holy Qur'an 96:1-5Proclaim! In the name of thy Lord and Cherisher, Who created,- Created man, out of a mere clot of congealed blood: Proclaim! And thy Lord is Most Bountiful,- He Who taught the use of the Pen,- Taught man that which he knew not. The default setting of our “universe normal” isn’t actually the “real” world, and it is in fact the efforts of disbelieving secular academics-for-hire to convince us that it is real that represents the misleading of the populace—we’re being misled by diabolical, self-appointed thought police into believing that our expanded visions of truth are ‘mere hallucinations.’ In actuality, this terrestrial realm material universe is designed to be finite; it’s designed to die/decay. This is the shadow realm of illusion and of course it isn’t real; it’s just a test. When this finite material of star stuff finally dissolves, our immortal consciousness will be freed to explore the true realities, and a sacred scripture guided correct living allows us the blessed glimpse of seeing this truth in a third eye opening experience if we are faithful. Q15: Does the activation of the third eye mean enlightenment? I believe this because now that I have had my own third eye opening experience, the sense of assured confidence I feel deeply in the aftermath of the event —that God is REAL, that ‘spirit’ is REAL, that the merit-based Righteous Path of the Lord thy God described in revealed scripture is REAL—seems to have been the primary point of giving me this wonderful gift. I feel as if I have reached the next level in my religious walk, and want above all else to please God and reach the NEXT level as well! The discovery that following God’s commands in scripture, humbling myself (and my ego) in a willing, selfless state of obedience to the One God who made me—and patiently persevering in that space of faith no matter the level of daily adversity— is rewarded along the way with moments of spiritual clarity personally bumping up my relationship with the Creator from “faith’ to “personally knowing is real,” bestows upon me the resulting desire to never want to go back as a state of enlightenment. Q16: How would a third eye affect the human vision? When I had my own third eye opening experiences, my entire field of vision was taken up by this mysterious wall/membrane—the veil between realities. The third eye was opened in the veil at what appeared to be 6 inches in front of my brow; I couldn’t see anything from the mundane ‘normal’ universe during the precious seconds either event took place, not even in my furthest peripheral. I wasn’t interested in seeing it either! All I focused on were the sights the third eye showed me, to absorb as much of the information as I could. Q17: How do I know if I'm prepared to open my third eye? If I open my third eye, will it be scary? You cannot open your third eye. All you can do is prepare yourself and establish the optimal conditions in which it is most likely that the third eye would open. 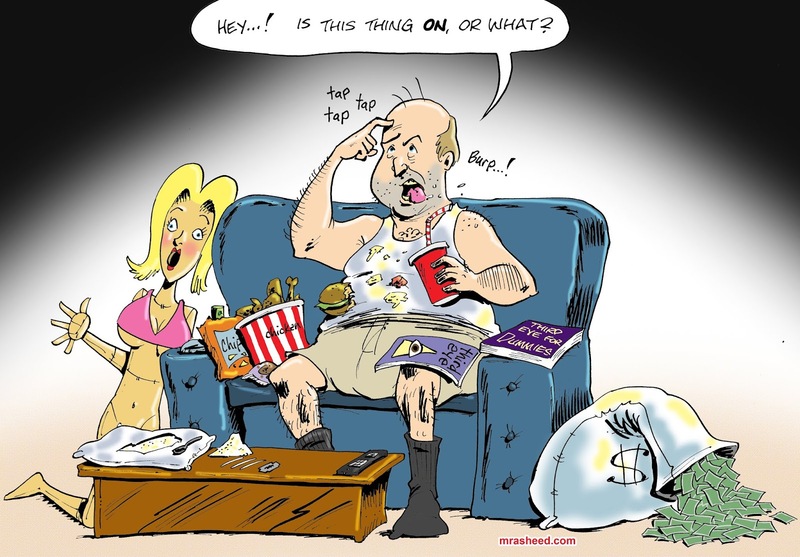 Contrary to the popular belief of the spiritualist community, this has nothing to do with the varying ritualized techniques like meditation and what have you, but it has everything to do with intent and behavior. The third eye opens as a milestone event for the sincere truth seeker who diligently strives along the Straight Way of Righteousness. The enduring sacred scripture of the ages, contains the guidance needed for the practitioner to build up the habits of righteousness in our lives, so there’s no need to reinvent the wheel on this item. Belief in the One God who made us, obedience to our Maker’s tenets of faith—doing good, rejecting evil, repenting of mistakes—is what is required to enable us to achieve high marks of merit and have the third eye open for us as proof of approval and encouragement. So should the third eye open, you will find that it is not scary at all, but a tiny glimpse into achieving our ultimate goal as believers. May you find your way, may you find yourself approved by your Lord, and may you be forever blessed. Q18: Why would God only open the eyes of some, and not all? The Straight Way of Righteousness, the path of the believers in the One God tread by the sincere truth seekers, is a merit-based path. Intent and behavior determine the quality of that walk, and by no means are they equal as expressed from one person to the next. God is faithful to the efforts of those who earnestly seek the Splendor of their Maker—showering them with blessings many times over what they have earned—while those whose deeds lazily come up short to those of their high-achieving fellows, are given but measure-for-measure what they have earned and nothing more. God opens the eyes and hearts of those who demonstrate they have faith in how they walk towards the Throne of Glory, so be ye of those who love doing good, who receive the message of the One God as the Good News! that you have pleased your Lord to the highest degree. Q19: How do you know if you have opened your third eye, and is it possible to do it accidentally? The third eye of the ancient mystery systems is actually a portal between the dimensions. The full, formal name is the UDJAT Wisdom Eye of Heru, and it is described in detail in the Pyramid Text records, chiseled into numerous granite stele in Saqqara, Egypt. I think that knowledge seekers throughout the ages made pilgrimages to Egypt during it’s Golden Age, and took those secrets back to their lands, developing their own mystery systems around the techniques they learned. The versions of meditation and other rituals that we of the spiritualist community are familiar with, are but the copy-of-a-copy-of-a-copy-of-a-copy, etc., of what those ancient student-turned-teachers knew. You are able to see the third eye during an endogenous DMT trance when it opens for you. I myself was blessed to have two such experiences, and in both cases, the third eye was a round-ish hole in a mysterious wall or membrane that covered my entire field of vision. It appeared to be roughly fist-sized in diameter, and situated about 6 inches in front of my brow. 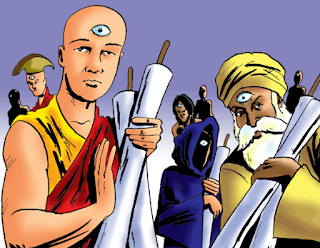 During the first event, the third eye had jagged, rough edges to it. During the second event, the edges appeared to be moving, like an energy was flowing, or being expended by the portal being open. I couldn’t see anything from the ‘normal’ world while this event was going on, not even in my furthest peripheral vision, so I have no doubt you will know it when you see it. I happened to be read up on the third eye pretty well, so I knew it the second it began. Both of my third eye opening events were spontaneous, meaning I wasn’t meditating at the time, they just happened. Before the first event happened, I felt the ‘Serpent Fire of the Universe’—the spirit energy called Sekhem by the Ancient Egyptians and Kundalini in Sanskrit—building up around and through my body. Because of the highly personal spiritual nature of the third eye opening event, I think it’s impossible for it to happen “accidentally.” The third eye shows you information through the portal that is important for your own higher consciousness growth, so it is highly unlikely that the forces in control of it opening for you did it by making a mistake and knocking over Chemical-X or whatever. Q20: How has your third eye helped you? I was very fortunate—blessed—to have had two third eye opening experiences. So far I’ve found that the events themselves have helped me immensely in the same way a strong word of encouragement from just the right leader/mentor in your life can give you a boost after a long, hard struggle on a difficult journey. I feel a nearly overwhelming sense that the sacrifices were worth it, that I’ve MADE IT! past a difficult level, and that I’m somehow closer to ‘home.’ The third eye events helped me because I feel truly AFFIRMED in the most profound way I can be. Q21: Does your third eye close after not using it for a long time? The third eye is a portal between realities that we are able to see during an endogenous DMT trance. 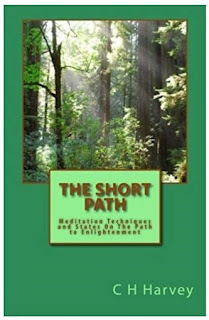 It opens after a hard-won milestone on your spiritual journey has been reached, and shows you information you need to meditate upon to enhance your higher consciousness. No one can claim an active third eye if they are practiced in denying the most important aspects of reality itself. Q22: Do you see spirits after a third eye awakening? Should your third eye open during those precious few seconds within the veil between realities, at what appears to be approximately 6 inches in front of your brow, it shows you imagery that is very personal for you. Whether that imagery would include spirit entities or not will depend on you and what the controlling forces think you need to see. Along the way towards tempting the third eye to open—while performing focused meditation, repetitive rituals, or even so-called “hallucinogenic” drugs—you should see beings from the other realms. This wouldn’t be unusual, since the N,N-Dimethyltryptamine (DMT) chemical your body uses to enable your mind to provide you altered states of consciousness is indeed literally shifting your perspective to see into other interdimensional realms. So it’s actually easy, and ‘baby steps’ in your spiritualist journey, to be able to see spirit entities. The issue is, should you try and seek them out? In the Pyramid Texts—that were already ages old when a group of enlightened Ancient Egyptian leaders decided they should finally be chiseled into as many granite stele it would take to copy them from the latest ancient papyri that were crumbling from age—they describe the technique of “correct meditation.” This is the simple science of the spirit developed by the ancients to get your endogenous DMT levels up to the point that you gain second sight enough to see the veil separating our ‘universe normal’ from the other realms. The hope of the technique is that the third eye will be opened for you, initiating you into the ‘Followers of Second Sight’ (called ‘Shemesu Heru’ in Ancient Egyptian). But before you can get to that point, the Pyramid Texts warn about the “threshold visions.” These are mysterious shapes that appear trying to distract you from your focus on getting to the veil. 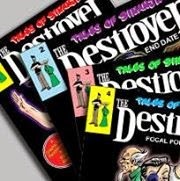 The Texts warn the reader that if the would-be initiate gives any indication that he/she is more interested in seeing the deliberately distracting entities, then THE THIRD EYE WILL NEVER OPEN FOR YOU! That’s jarring stuff to me. And it was when I first read it back in 2004. Since I was fortunate enough to have read that warning before I started trying to meditate myself, I was properly cautious when I did start experimenting with the techniques, and Lo! there were the threshold visions teasing and blinking about right outside of the edge of my focus! The Pyramid Texts provide a simple and blessedly effective counter to the creatures’ shenanigans: all you have to do is quickly glance down and off to the left, and then snap your gaze back up to your focal point. Just like that and the entities would vanish. The second they would appear I would vanish them with the little trick until eventually, they stopped trying to distract me from my quest. According to the Pyramid Texts, which I fully believe are the source lore for all of the world’s meditation techniques, the entire point of meditating is to tempt open the mystic third eye, so any effort or desire to sabotage that by ‘looking for spirits’ is foolishness. Q23: What do you think about the third eye? It is my opinion that every single human being should do everything in their power to strive & struggle to specifically position the details of their lives in the way they need to so that the mystic third eye of legend will be tempted into opening for them. Anyone who is NOT doing this, is literally failing at life itself. Q24: What is the most powerful technique to awaken a third eye? You should know up front that I am not agreed with the spiritualist community majority consensus that the mystic third eye is synonymous with the pineal gland. My understanding of the concept comes from the source lore in Saqqara, Egypt, where the Pyramid Texts describe the UDJAT Wisdom Eye of Heru as an interdimensional portal that opens within the veil between realities for the fortunate initiate during an endogenous N,N-Dimethyltryptamine (DMT) trance state. I myself was blessed to have had two experiences with the third eye opening for me, and thus bear witness to the Pyramid Text’s ages old truths. Do these consistently until we build up the habits of those who walk the Straight Way of Righteousness, and this will put us in the best position to have a third eye opening experience. Q25: Is third eye opening a part of the kundalini awakening process or an independent concept? “Serpent Fire of the Universe” (Sekhem) is how the Pyramid Texts in Saqqara, Egypt describe the energy that we of the spiritualist community call Kundalini in Sanskrit. This is the spirit energy that powers all psionic phenomena, and it is used as the co-force—partnered with the pineal gland provided N,N-Dimethyltryptamine (DMT) from the material side—to enable us to see the veil between realities. If we are fortunate, the third eye will open for us as we stare at the veil. I was so fortunate to have experienced two third eye opening events, even though both of mine happened spontaneously without meditation. Prior to my third eye opening events, I felt the build up of the ‘Serpent Fire’ and because it was then so out of context to what the sensation actually meant, I didn’t know that’s what it was until it had reached suitable levels to shift my consciousness into the trance state. Suddenly, I found myself staring at the third eye! Since then, I have felt the ‘Serpent Fire’ sensation by itself during salah, without the third eye opening spontaneously from it. As I write this, I now wonder if it was some form of invitation to encourage me to meditate so the third eye could be opened without the controlling forces needing to do all the work? Should I feel it again, I’ll perform the ‘correct meditation’ ritual straight away to see what will happen, and record it on my blog. Q26: Can you obtain ultimate power by opening your third eye? The first few times that the third eye portal in the veil between realities opens up during an endogenous DMT trance state, it shows you mysterious images or scenery within it for you to meditate upon and guide you in your higher consciousness development. After that, in the advanced stages of our quest to achieve Enlightenment, the Wisdom Eye will do much more than just show you things and places. At that point, when it opens it will draw your consciousness into the unseen realm on the other side where you will inhabit your immortal spirit body, and you will be taken on a mini “Enoch-like” tour. The sights and adventures you’ll experience are also designed for you to meditate upon later, but while you are experiencing them, you will be powerful indeed. This is the form you will inhabit permanently in the life hereafter, and even though you will only have limited control during the third eye guided tour, you will see that you will have the unimaginable abilities of the unseen spirits of legend. The ‘Serpent Fire of the Universe,’ that we know as ‘Kundalini’ in Sanskrit, is the energy that enables us to have these wonderful preternatural experiences, but it is very limited in the material world. The tiny bit of spillover that grants powers of second sight and other psionic abilities to a special few talented individuals will never attain “ultimate power” status on this side. Even during the Age of the Prophets, the messengers of the One God weren’t allowed to perform miracles with the Lord’s permission that went beyond a certain scope & force—the One God always insists that faith alone be the activating principle to enable us to eventually enjoy the fullness of our immortal spirit. So I advise you to worry less about somehow attaining “ultimate power” as a finite material being, and instead submit to the all-powerful One who made you so you may know the Bliss you crave when you finally shed the flesh. Q27: Do we have a third eye? This open portal—that blesses us with the ability to see into the greater mysteries of reality—was titled “third eye” by the ancients since it is so intimately a part of the individual that experiences it. The over-literal imagery that artist-shaman have depicted to represent the experience over the ages has fed a lot of imaginative explanations and speculation around it, especially in the modern day, but the honest seeker of truth should know better than to take such descriptive speech from the esoteric-minded, ancient master-teachers at face value like that. Q28: What is your experience seeing through the third eye? During both of my two third eye opening experiences, I was very aware of the event and what was happening to me. Part of that was coming from the genuine excitement inherent in recognizing what was going on based on my previous research into the UDJAT Eye of Heru, as the ‘third eye’ phenomenon is called in the Pyramid Texts source descriptions in Saqqara, Egypt. It was also coming from the super-charged feeling I was receiving from the ‘Serpent Fire of the Universe’ energy tingle sensation that powered the whole occurrence (see: Kundalini). I remember that my sense of vision was incredibly acute and efficient, and that I was perfectly content using it to gobble ever detail I hungrily observed through the third eye portal. Q29: What do you think about the third eye superpower demonstrations in the United States? ...means it's actually just an elaborate grift by a team of professional swindlers pretending to be otherwise. True magic is personal, and each of us can experience it by believing in the One God who made us, being good to one another and avoiding the temptations of evil (like deliberately taking part in confidence game fraud schemes). Q30: Is the third eye real? “Third eye” is an esoteric descriptor for a spiritual phenomenon named by the ancient master-teachers who first experienced it. It specifically references a second sight experience we can have during an endogenous N,N-Dimethyltryptamine (DMT) trance state, in which we can actually “see” a hole in the membrane/veil that separates this material universe from the other eternal realms, where a roughly round hole appears. Seeming to be approximately 6 inches in front of your brow, this hole or portal allows you to direct your visual focus to observe whatever the controlling forces want you to see and later meditate upon, to gain knowledge for your personal higher consciousness development. It is not “just” an abstract term for an even more abstract mystical idea/ideal, but it is in fact an actual real thing (a hole/portal) that is part of an actual personal-level spirit event—one that can actually be experienced by humans if they so choose to live the type of lifestyle needed for the Wisdom Eye to open for them. So the ‘third eye’ is indeed real, but you must learn to look beyond the esoteric labels the ancient master-teachers used to confound those not initiated in their secret society mystery systems. If you do not, it will only lead to more “eyeball in forehead” goose chasing that will continue to take you far off the road towards true enlightenment. Q31: What happens when your third eye opens? During both of my two third eye opening events, I experienced an energized, tingling sensation, with an accompanying feeling of dissipation of the same energy, that felt like a countdown. The directing forces showed me personalized, mysterious imagery and scenery to meditate upon later. According to the Pyramid Text descriptions of third eye events chiseled onto the ancient granite stele at Saqqara, Egypt, this is normal for the first few times the UDJAT Wisdom Eye of Heru opens for the newly-initiated Shemesu Heru (“Followers of Second Sight”). The Pyramid Texts explain that in later opening events, the consciousness of the advanced Shemesu Heru will actually be drawn into the third eye portal to experience an ‘Enoch-like’ tour of the realms the controlling forces feel the member fellow needs to see. Q32: Are there easy proofs that third eye or Kundalini are real? No, because the third eye event—which consists of a hole or portal opening approximately 6 inches before your brow within the veil between realities, during an endogenous DMT trance—is an entoptic phenomenon. There's no way of proving it directly to others since they cannot experience what you've experienced from behind the sight of your individual consciousness. Using circumstantial evidence, we can see the general similarities between the documented descriptions of those who've had the experience for themselves. Q33: Why do I see colors in pitch black rooms? That’s an interesting phenomenon you’re experiencing, since the ‘visual purple’ optic cells that take over during low light conditions only enable us to see in black & white. Without having any other info about you to go by, it forces me to think the ability is related to drug usage experimentation, particularly with the synthetic type hallucinogens like LSD. If this is the case, then you very well may be in a continuous “tripping” condition because of the continued presence of these substances within your system, enabling you to see such imagery in a quasi-altered consciousness state. I hope this speculative explanation helps at least a little. Q34: Can a crown chakra be open before opening of the third eye? I am not versed in the Tantric lore of Far Eastern mysticism/meditation practices. My understanding of the third eye comes from insightful interpretations of the Pyramid Texts, which describe the ancient meditation techniques—sans chakra concept—designed to get the practitioner to the event horizon of the third eye portal, recorded on numerous granite stele in Saqqarah, Egypt, as well as from my own personal experiences where the third eye opened for me twice. When I had my third eye opening events, they happened spontaneously without me first meditating to prime them. They did follow a lengthy, approximately three year period of me consciously and diligently following the rituals of Al-Islam, which included the 30-day fast of Ramadan. During both experiences, I felt the Serpent Fire of the Universe (as the Kundalini energy is called in the Pyramid Texts) flowing around and through my body just before the Wisdom Eye appeared before me. I had no awareness of whether the energy passed through any of the chakras or not, nor in what order, nor did the knowledge of such seem to be needed. In truth, it felt as if the controlling forces were actively seeking me out to bless me with this gift. Since the renewed dedication to my religion was the only spiritual prerequisite to the third eye event provided on my part, I am thus forced to ascribe the gift to this. Q35: Which powerful psychic powers do you gain from opening your third eye? The mystic third eye of legend—called the UDJAT Wisdom Eye of Heru in the Pyramid Texts of Saqqarah, Egypt—is actually a portal that opens in the veil between realities approximately 6 inches before the brow during an endogenous DMT trance. For those persons who are fortunate to have the third eye open for them, they will first see special images/scenery through it designed to aid them in their higher consciousness development, so by its very nature, the third eye provides the power of clairvoyance. Later on, the Followers of Second Sight (Shemesu Heru) who experience the third eye opening will have their consciousness pulled into it, to be escorted on an ‘Enoch-like’ tour of the eternal realms. This is the power of astral projection. After this stage, I am unaware of any special powers conferred by the third eye openings itself. You should know, however, that the Serpent Fire of the Universe (the energy known as Kundalini) is the power source that runs the entire spectrum of paranormal phenomena. Theoretically, additional powers like telekinesis, telepathy, even levitation, are possible before the third eye even opens once. Q36: My third eye pulsates all the time. What is going on? My research into the third eye phenomenon comes from the source information describing the experience in the Pyramid Texts chiseled in granite stele in Saqqarah, Egypt. I was blessed to have experienced the third eye opening twice myself. As described in the source materials, it is actually a portal that opens in the unseen membrane or veil that separates this finite, material universe from the eternal realms, experienced during an endogenous DMT trance. Although the pineal gland, located deep within the human brain, secretes the DMT molecule needed to have the altered state of consciousness to see the veil between realities, I don’t think it is likely to have any kind of physical effect on the face area, such as a pulsating sensation. Because of all of this—by way of both my knowledge through research as well as personal experience—I am aware that the concept of a third eye being connected to our physical head in any way is not an accurate one. Thus the pulsating sensation you are experiencing is most likely an actual physical situation that I suggest you describe to a licensed medical practitioner in case it is a symptom of something serious. I see no reason why the sensation would be at all connected to the third eye. Q37: How do you cleanse the third eye? Faithfully do these thing as lifestyle—I suggest you use the enduring scripture of the ages to guide you as there’s no need to reinvent the wheel—and you will purify yourself suitably to ‘clean’ your third eye. Q38: Have you ever opened your third eye? I was not meditating at the time—in fact, meditation or third eye anything was the last thing on my mind—and both experiences were spontaneous events independent of my own direct efforts. So technically, I did not open the third eye, it opened FOR me. It chose me (or the controlling force behind the phenomenon did). It felt very much like a blessed gift of the highest magnitude. The imagery that it showed me was something I needed to know for my spiritual journey. Q39: Why do so many people make the third eye so complex? To me it seems to be just imaginative capacity. Am I missing something? Why do we need books written about the third eye? Muhammad Rasheed - "Why do so many people make the third eye so complex?" The third eye lore is part of an ages old ‘spiritual science’ mystery system first experienced by unknowable master-teachers from the deepest times of yore. When they trained their hopeful protégés in the sciences, their tendency was to guide but not explain the experience in direct language because the third eye opening event is entoptic by its nature. It’s impossible to really KNOW until you experience the event yourself, and it’s possible that any too elaborate descriptions may make the actual experience fall short of the imagination-enhanced expectation. Consequently, the ancient body of literature that accurately describes the third eye event is generally very abstract and vague sounding, which gives the false impression that the event itself isn’t actually real to those who have not had the experience themselves. I’ve noticed that of all the literature writ throughout the ages that mentions the third eye at all, the vast majority of it is by people writing about the event as referenced through other literature, and not by authors who had experienced a third eye opening event themselves. Of that group of wannabe authors, there is another sub-group to add even more confusion to the pot— the former students who for whatever reason were never able to follow through to have a third eye opening experience of their own despite all the training and instruction they had received, and who came to believe the tools designed to tempt the Wisdom Eye into opening were indeed the goal of the training itself! These folk went off to write books describing their new and very wrong “epiphany” causing many sincere truth seekers to go astray. As interested truth seekers from the modern West attempt to understand the vast collection of material, they are often confused by the language (and the symbolic imagery!) used to describe the event. As explained in the works of French philosopher René Guénon, the multilayered language the ancients used to describe their experiences was quite alien to the narrowly materialistic way we Westerners see the world, creating a mindset fundamentally opposed to enabling us to see deep into the Truth Principles that codify ‘spiritual science’ descriptions under normal circumstances, and especially so if the seeker hasn’t had a third eye opening experience to personally reference during the study. So this background, combined with the fact that there is painfully very little “straight talk” about what the true third eye experience actually is, has led to an inevitable eclectic, guess-work ‘soup of ideas’ around the ever-intriguing concept of the mystic third eye of legend, with the average person assuming that it’s either an abstract concept open to any and everyone’s random interpretation, or just a little known lymphoid-like gland buried deep within the human brain, with all being far off the mark. Note that this didn’t stop enterprising ‘artist-shaman’ entrepreneur types from creating a whole market around this very same ‘soup of ideas’ and flooding it with products that get absolutely no one any closer to achieving the coveted end goal. "To me it seems to be just imaginative capacity. Am I missing something?" What’s missing is an accurate reference that describes the true third eye opening event in clear and practical terms, absent the over-used ‘new age-ish’ abstract descriptors that only produce more and more cross-eyed confusion. Far from being merely “imaginative capacity,” the third eye is an actual thing; its opening a real experience humans have that is the same in kind from person-to-person, enabling us to track and measure the described details for formal scientific study. The third eye opening event is a major milestone marker in the journey of the sincere truth seeker, and it is worth elevating it above the the confused ‘soup of ideas’ to place it in its proper place of honor as a bona fide, yet rarely studied, human experience. "Why do we need books written about the third eye?" One of humanity’s greatest strengths is our ability to master information as skilled experience, write down the detailed how-to in a narrative step-by-step, and pass the information on to others. Alongside working together in familial, networked groups, this is the secret to our success as a species. Writing down information for others to learn is GREAT! Books are awesome. Now I can understand if someone were under the impression that a certain body of knowledge wasn’t actually real or concrete enough to actually need to write it down. Knowledge that was so abstract that it was considered little more than the focused “imaginative capacity” of the individual, then I could agree that there would be no need to write a book about it. Fortunately, the third eye is nothing like that, and those blessed to be in the know absolutely should write books on the topic for the legions of people longing to join them on the path of enlightenment. Q40: Is the pineal gland the evolutionary remnant of a literal third mammalian eye? Muhammad Rasheed - No. The term “third eye” is a metaphoric descriptor for the hole/portal that opens within the veil between realities during an endogenous N,N-Dimethyltryptamine (DMT) trance. The opened portal reveals clairvoyant visions to the fortunate initiate, which is universally known as a second sight experience—the “second sight” vision from the mystic “third eye” portal—as compared to the “first sight” of our two material realm eyes. The pineal gland’s role is to secrete the DMT for the physical side of the trance state. The effort to link the gland to the term “third eye” in a more literal way is far indeed from true understanding of what the ancient master-teachers were actually describing. Q41: With the third eye open is it possible to actually time travel to a happier time in your life as a different gender, and live there for the rest of your life? Muhammad Rasheed - No. For the new initiate, the first few third eye opening experiences reveal symbols or actual scenes, either from the past, present or future. You’ll have no control over what is shown to you through this portal opened within the veil between realities; you must absorb the information for self-study and reference to guide you. After that, the advanced ‘Follower of Second Sight’ may be blessed to have your consciousness pulled into the third eye portal to inhabit your immortal spirit form, during which you will be partially in control—able to look around and move within a limited area—as your other higher consciousness takes you on a mysterious ‘Enoch-like’ tour of the other realms (peace be upon the prophet! ).Whether you are taken into the distant past or not, you will have zero control over where you actually go, and you will not be allowed to stay. Your task will be to record the information you are shown to meditate upon during the remainder of your material realm personal development. Q42: What is the difference between the illuminati eye and the third eye? Muhammad Rasheed - The Illuminati symbol represents the ambitiously far-seeing eye of the secular Hidden Hand’s globally well-connected members. It spies over the affairs of targeted human communities and institutions, using the collected knowledge to give the highest ranking elite of the ultra-secretive order the tactical advantage in achieving their goals. The “third eye” is the esoteric UDJAT Wisdom Eye of Heru taught in the mystery systems of the ancient master-teachers of deepest antiquity. The third eye is a hole or portal that opens in the veil between realities during an endogenous N,N-Dimethyltryptamine (DMT) trance state, showing the fortunate initiate special visions to guide on the journey of personal development. Q43: For those who have experienced it, what happens when your 'third eye' opens? Muhammad Rasheed - During both of the two third eye opening events I experienced this past summer,they were immediately preceded by the light, buzzing, tingly sensation of the Sekhem energy (‘Kundalini’) that I could feel coursing through my body, and reminding me of the mild energized high of a cup of coffee. Text book true to the descriptions chiseled onto the numerous Pyramid Text granite stele in Saqqara, Egypt (“The Book of Coming into Light”), the third eye revealed imagery pregnant with meaning for me to meditate upon for my own personal development. Interestingly, the first third eye event allowed me to move the 2D imagery around with the force of my will alone, but the second event’s third eye retained full control and zoomed in and out to direct my vision only to what specific items the controlling forces were tasked to show me. Also during both events, I felt the Sekhem energy rapidly dissipating, which proved to be a countdown of sorts. Once the Sekhem was then depleted the third eye promptly closed, but the veil briefly lingered within my field of vision. Immediately after these events, I felt a peaceful exhilaration, as if I had just achieved a major milestone victory after a stressful, hard-fought effort. Q44: Can third eye meditation cause hallucinations and has anyone done it? Muhammad Rasheed - Within the ancient-beyond-imagination source work called “The Book of Coming Into Light”—the detailed instructions describing “correct meditation” chiseled into numerous granite stele in Saqqara, Egypt—the Pyramid Texts warn the would be initiate to avoid the “threshold visions” that appear during the effort to tempt the mystic third eye into opening. I bear witness that the ancient descriptions are true because I experienced all of this before during my own journey. While directing your vision into the fovea spot per the instruction, these mysterious images will appear just out of your focus area in an active attempt to draw your attention away. In warning the initiate about the ‘creatures,’ the Pyramid Texts uses such phrases as “a fine line between enlightenment and illusion!” and warn NOT to attempt to see these images more clearly. The danger is very real… the controlling force[s] we hope to convince to open the third eye for us will be offended at the attention given to the threshold visions, and will NEVER open the third eye. The treacherous threshold visions are indeed “hallucinations” in the strict definition of the word. They aren’t real and function as traps for a weak-willed, easily distracted and immature consciousness. The third eye experience itself, to include the opening of the portal within the veil between realities and whatever information presented to guide the blessed initiate, are not hallucinations, but a true altered state experience and glimpse into the unseen. This is what is real, and a true but tiny portion of what is to come in the life hereafter. Q45: Did you know that the third eye originated from ancient Kemet and not India? The original source of the mystic third eye lore is found within the so-called Pyramid Texts in Saqqara, Egypt. Called “The Book of Coming Into Light,” the detailed descriptions of the UDJAT Wisdom Eye of Heru and the recommended “correct meditation” to perform enabling the hopeful initiate to perhaps tempt the portal into opening within the veil between realities was chiseled onto numerous granite stele only after the latest copied-from-copies, hoary with age papyri scrolls had begun to crumble into dust. Mystics from all over the world made pilgrimages to glorious Kemet to initiate themselves into the legendary mystery systems. Returning to their lands with the precious “science of the spirit” perfected ages ago by the ancient master-teachers of Egypt, every one of them hid the knowledge within their own tiered secret society systems. Q46: What does it mean to “Open your Third Eye”? The Hindi adepts use the concept of “opening chakras” to target a specific energy point located in the forehead that corresponds to what the doctrine links to the third eye. “Opening the third eye” for them describes the process of clearing physical impurities as well as any emotional/psychological barriers in order to level-up in a developing conscious spirit state. The practitioners of the eclectic ‘New Age’ mysticism schools of the modern day also utilize the ‘opening the forehead chakra’ Hindi concept, but also tend to subscribe the third eye to the related pineal gland. “Opening the third eye” is a combination of the Hindi version, as well as a complex ritual designed to de-calcify the atrophied gland. 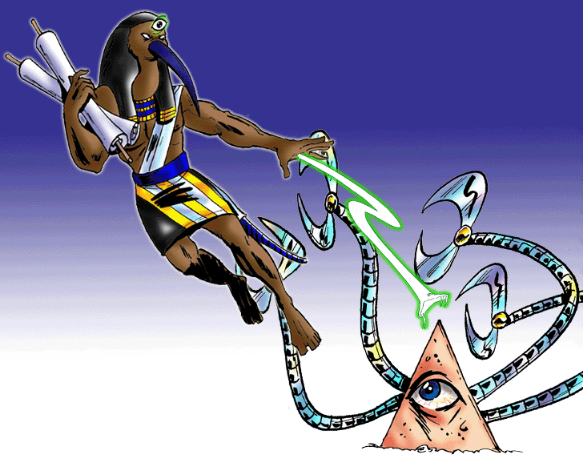 The original source lore for the third eye concept comes from Ancient Egypt. First discovered by unknowable master-teachers from deepest antiquity and eventually chiseled onto numerous granite stele (The Pyramid Texts) on the Saqqara plateau, “The Book of Coming Into Light”describes a deceptively simple “correct meditation” technique designed to mimic the conditions experienced during a third eye opening event. The UDJAT Wisdom Eye of Heru is a hole/portal that opens within the veil between realities during an endogenous DMT trance state. Now that I have had two third eye opening experiences of my own, I can personally confirm the Pyramid Texts descriptions of the event itself to be textbook accurate. The ‘correct meditation’ technique they describe hopes to tempt the third eye into opening and cannot be considered a deliberate opening itself. I was not meditating during either of my two experiences, with the Wisdom Eye opening as a milestone during my higher consciousness development journey. I could not make it open—it opened on its own when I was ready, as as sign that I was on the right path. Now that I’ve experienced it for myself, I recognize the efforts to artificially duplicate the conditions when I see them. The ancient ‘correct meditation’ technique is one such effort, but also the concept of the ‘scrying mirror’ is another. 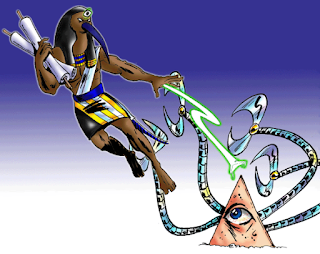 The latter using a more literal interpretation, and unlike the Pyramid Texts’ attempt to tempt open the power of the third eye itself, scrying attempts to duplicate the technique of the source concept from a lesser personal magic position. Q47: Is spiritual perception possible with a calcified third eye? Muhammad Rasheed - No. By definition, the UDJAT Wisdom Eye of Heru phenomenon that we know as the mystic third eye of legend is a spiritual event. It blesses an initiate with its appearance as a milestone in spiritual development. The third eye is atrophied within all individuals who have neglected their spirit life and have thus, put no actions towards this personal growth. Such poorly attended souls lack the ability to perceive spiritual aid, guidance, insights, leaps of faith or even accurately interpret analogies designed to inspire and impart wisdom. In order to have the desired spiritual perception of the adept, one much first ‘build up the spirit man’ — connecting your conscious mind with your spiritual higher conscious state — by performing activities that strengthen your spirit. Do this consistently until you build up the habits of right guidance and your vision may be opened to spiritual perception (Insha’Allah) over time. Q48: Did God create the third eye? Muhammad Rasheed - The third eye phenomenon is a Sign of the One God for those who believe. It functions as a small reward for diligently sticking to the Straight Way in the form of a tiny glimpse into the unseen spirit. The third eye is an assurance that one is displaying correct behavior according to God’s criterion and it is absolutely created (allowed to be seen) by the Most High. Q49: How do you open your third eye and know that it has opened? Muhammad Rasheed - When I had my own third eye opening event experiences, they were both immediately preceded by the mildly energized sensation of the ‘Serpent Fire of the Universe’ — the spirit energy called ‘Sekhem’ (Ancient Egyptian) or‘Kundalini’ (Sanskrit). The energizing feeling built up for approximately 5–10 minutes as I was going on about my day in the early morning. Suddenly, my entire field of vision was filled with this otherworldly membranous wall about 6-inches in front of my face. At roughly just above eye level, a hole was opened in the membrane — the UDJAT Wisdom Eye of second sight! — and it showed me the sights that the controlling forces needed me to see. While this was happening, I literally couldn’t see anything else. Trust me, you’ll definitely know! Since these points along the timeline of the event were accurately described as writ upon the granite stele in Saqqara, Egypt from ‘The Book of Coming into Light,’ I recognized all the signs as they were happening to me with no doubt as to what I was experiencing. Note that even though people often have clairvoyant experiences, the third eye event is set apart by the tell-tale framing of the hole within the veil between realities around the vision. Q50: What are the risks of opening the third eye? Muhammad Rasheed - When the third eye opened for me twice in the summer of 2018, I experienced a euphoric high of delight in what had happened. I wanted to both tell any and everyone and, with equal enthusiasm, keep the event to myself. I ended up deciding on a compromise of sorts, and publicly discussed the nature of the event I experienced, while holding the actual personal details of the visions within the third eye close to my chest, so to speak. After spending many hours meditating on the experience and coming to conclusions as to the how and why the third eye was opened for me, I speculate that the greatest risks for me are custom-tailored to my own weaknesses, and involve fear of not living up to my potential, letting myself down, and sinking into some form of deep depression because of it after the colossal failure lying on the other side of not trying. The first third eye visions showed me strong clues to guide me in my stated goals, clues that got clearer and clearer as I committed to moving forward in what I needed to do, until I eventually reached the place where I no longer held lingering doubts that my interpretation of what I was shown was indeed correct. Other than the risk of allowing fear of the future overwhelm me, another more general risk—that very well may have a wider implication for others along their own journey—is that I allow myself to become over-enamored with the concept of the third eye itself and begin to idolize it! The potential of this hazard will actually reverse the gains that led to the opening of the third eye in the first place, will cause the spiritual seeker to backslide and lose the portion of enlightenment thus far attained. The mantra "No god but God" is the counter-spell needed to keep the adept on The Straight & Narrow Path. Q51: What books should I read to help me open the third eye? Muhammad Rasheed - Great question. The third eye opens for us not by deliberate focused effort we directly control, but as an involuntary milestone sign along the Journey to Enlightenment. If it opens for you, it means you are on the straight & narrow Right Path by way of properly adhering to the tenets of the One God’s revealed message. The Holy Qur’an is the final revelation of the One God on earth, sent as a guide to humankind to teach us the correct lifestyle for salvation of our souls. The Qur’an is composed of the One God speaking in third person directly to His prophet, to the body of believers both on the individual level and in community, to the disbelievers and to humankind as a whole from the Divine Voice. All truth starts HERE. The illiterate Arab Muhammad ibn Abdullah (peace be upon the prophet!) is the final messenger the One God anointed to preach the Word and instruct the people in scripture & wisdom. In the Qur’an, God said that if any of the believers are in doubt as to how to perform any of the Qur’an’s commands, then simply do as the prophet Muhammad did it. 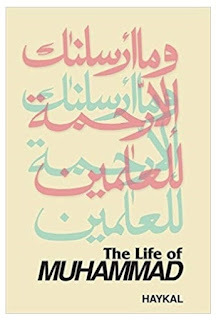 God confirmed that the prophet was an outstanding believer who walked out the Qur’an in such a praise-worthy manner that his way was chosen as the formal template the entire body of believers should follow, so it makes sense that the sincere truth seeker should be well-versed in how the prophet lived his life. 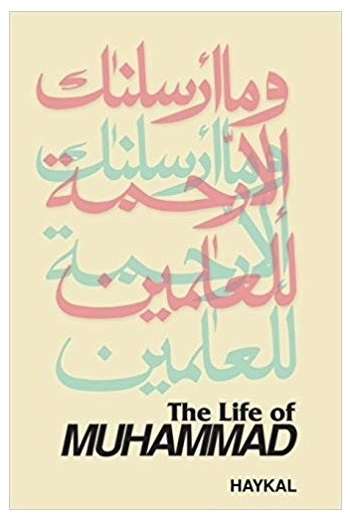 I highly recommend Dr. M. Haykal’s Life of Muhammad biography as the best of the lot. Q52: Is there a way to close a third eye? Muhammad Rasheed - The mystic third eye of legend, called the UDJAT Eye of Heru in the ancient descriptions of the phenomenon chiseled onto numerous granite stele in Saqqara, Egypt ("The Book of Coming Into Light"), is not an organ or device that can be placed under our direct control. It is a spiritual sign that the sincere truth seeker experiences involuntarily while diligently adhering to the Righteous Path towards enlightenment. During an endogenous DMT trance state, the fortunate adept will witness a roughly fist-sized round opening approximately 6-inches before the brow in what appears to be a vast, membranous wall. This opening or portal into the ‘veil between realities’ is what the ancient master-teachers have named the 'third eye,' that will show the seer within its mysterious depths visions needed for spiritual guidance. During the event, the newly-initiated Shemesu Heru ("Follower of Second Sight") will experience a mild energy charge that will build-up just before the trance state, and peak at the moment the third eye appears. This energized sensation is the 'Serpent Fire of the Universe' called "Sekhem" in Ancient Egyptian and known as "Kundalini" in Sanskrit. After the Wisdom Eye opens, there is a distinctive countdown sensation as the energy dissipates. Once depleted, the trance state ends and the adept's consciousness returns. In other words, the third eye opens when it is time to open, and it closes when it its mission is done. The individual who experiences it has no direct involvement in the science of the process. You can only ‘close’ it yourself by dismantling the positive conditions your disciplined lifestyle created and rejecting the Path that enabled you to reach the blessed milestone event in the first place. Taking on a life of wretched debauchery and sin and forswearing the One God’s commands,will cause you to lose all your spiritual gains and the third eye will open for you no more. Q53: Is opening your third eye, selling your soul? Muhammad Rasheed - No. In fact, it is the literal exact opposite of that. Should you be so fortunate to have a third eye opening experience, it means no less than that you have decided to heed the call of the One God and accept the great game of life on the Supreme Creator's terms. The visions shown through the third eye portal in the mysterious veil between realities during an endogenous DMT trance state are only gifted to those who have submitted their wills/souls/consciousness to their Guardian Lord. With that being said, it is important to know that there is a fine line between enlightenment and illusion. It is easy indeed for the human being of planet earth to be allured by the esoteric mystery surrounding the legendary UDJAT Wisdom Eye, and then tragically led astray by an over-fascination with the concept of it. The third eye is ONLY a sign that one is performing correctly as a believer and pleasing the Lord. As someone who has experienced the magic of the third eye opening for me (twice!) I must warn you that it is a mistake to waste time trying to futilely entice the third eye to open by the varying rituals and tricks cooked up by pseudo-mystics and grifters over the millennia, instead of focusing on the all-important need to adhere to the One God's straight & narrow righteous path that will organically allow you to reach a third eye opening milestone. Q54: Some people say that their third eye is open, but why is it that when I ask what they can do with it they just can't explain? Muhammad Rasheed - Within the eclectic ‘New Age’ mysticism literature, the concept of the ‘third eye’ is presented in varying ways ranging from an esoteric descriptor for the pineal gland, to a symbol for reaching a chakra milestone in Far Eastern Tantric lore, to a broad abstract term for high-level spiritual wisdom open to individual interpretation. For those whom you’ve put on the spot by asking your question, you’ve placed them in a difficulty since the nature of the query is incompatible with the realities of both their doctrinal teachings and their experience in the spiritual sciences. The true third eye isn’t something we can directly control as it is an involuntary event that blesses the adept as a milestone of encouragement—a spiritual sign—while one diligently adheres to the Righteous Path towards enlightenment. During both of my own third eye opening experiences in the summer of 2018,without meditation, I found myself slip into an endogenous DMT trance state for what seemed like mere seconds. Instantly I stared forth at a mysterious membranous wall in which the round ‘third eye’ hole was ripped into it at approximately 6-inches in front of my brow. In both cases the third eye showed me specific personally-tailored imagery for me to ponder as a guide to help me stick to my patient perseverance tract aligned to my stated goals prayed for five times a day. Once the message was delivered, the third eye promptly closed, leaving me in an awed state of immense gratitude. The event itself was quite other-worldly, with the material not within my sight at all, so I cannot imagine what life would be like if the third eye stayed open permanently; on this side of consciousness I would be functionally blind in my physical two-eyed sight! So for me, the third eye gave me specific knowledge that I use as an encouraging comfort and motivation, as well as a guide to “keep my head in the game,” so to speak. It functioned as a magical ‘scrying glass’ that sought me out with a message, and my precious take away is the imagery I burned onto my memory. Q55: Is there a difference between the mind's eye and the third eye? Muhammad Rasheed - The "mind's eye" is the human brain's ability to imagine a [at least] semi-accurate visual of what the individual wants to mentally focus upon. The “third eye” is a hole (or portal) found as a round, fist-sized rip within the mysterious 'veil between realities' approximately 6-inches before the brow during an endogenous DMT trance state. The third eye phenomenon opens as a spiritual sign milestone to those sincere truth seekers who diligently walk along the Righteous Path towards enlightenment. Q56: How can we open our third eye without meditation? Muhammad Rasheed - In my experience, the third eye does not open just because we perform meditation rituals. These are used to create conditions similar to what we feel during a third eye opening event in hopes of enticing the Wisdom Eye to open for us. In reality, the third eye is a spiritual sign that opens as a milestone of accomplishment as the sincere truth seeker diligently journeys along the Righteous Path towards enlightenment. In other words, the third eye ONLY opens without meditation, as the activating principle isn’t manipulative ritual, but consistently being a good person in accordance with the instructions of the One God. Q57: Does Jesus teach us to open our third eye? Muhammad Rasheed - The third eye opens as a milestone for the sincere truth seeker along the journey towards enlightenment. It functions as a spiritual sign of encouragement, rewarding the adept with the event that he/she may continue, strictly staying on the Straight Path. In order to reach that milestone, we must diligently adhere to the principles of righteousness, the same principles taught by the Christ Jesus, son of Mary and the other holy prophet-messengers of the One God (peace be upon them all!). Therefore, Jesus did indeed teach exactly what was required for the adept to witness the blessed ‘third eye’ opening event. It is highly unlikely that the Christ taught his followers any of the various meditation techniques designed specifically to entice the third eye into opening, since this is only trickery that hopes for a short cut without putting in the necessary hard work of character building that is required of faith mastery. Q58: What is the “third eye” and how does it relate to the pituitary or pineal gland? Muhammad Rasheed - Technically, the phenomenon called UDJAT Wisdom Eye of Heru, the mystic ‘third eye’ of legend, is a hole that opens in the mysterious ‘veil between realities’for the blessed adept who experiences it, approximately six inches before the brow during an endogenous N,N-Dimethyltryptamine (DMT) trance state. The event functions as a milestone of encouragement for the sincere truth seeker journeying along the Righteous Path towards enlightenment. It is a spiritual sign, letting the adept know that he/she is correctly adhering to the tenets of the One God and that one should continue to the finish line that eternal bliss may be achieved in the next life. The ‘third eye’ is related to the pineal gland only by way of the latter being the organ that secretes the amounts of DMT needed to slip into the trance state. Q59: What did you experience during and after you opened your third eye? Muhammad Rasheed - During both of my third eye opening events experienced during the summer of 2018, I slipped into an endogenous N,N-Dimethyltryptamine (DMT) trance state without performing any meditation rituals of any kind. In fact, the topic was the furthest thing from my mind when they happened! I felt the rapidly increasing levels of ‘Serpent Fire of the Universe’ energy (sekhem/kundalini) making me feel very “awake” and alert just prior to the events. 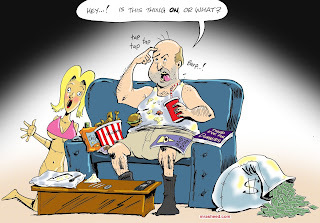 The first time it happened I thought it might be a heart attack symptom or something, even though the experience wasn’t unpleasant at all just odd and mysterious (“What is this?! What is this feeling?”). Suddenly I was in some other place, staring into a hole or round-ish shaped rip in a membranous wall (the ‘veil between realities’) that my peripheral vision confirmed stretched out beyond the edge of my sight. I still felt the sekhem energy, but it was very clearly dissipating, marking a countdown, and I felt a sense of urgency that I had better SEE all that I could while I was there! Easy enough, since seeing appeared to be all I could do in that state, and my eyes felt HUGE and voracious as I stared into the ‘third eye’ portal. I eagerly memorized what was shown to me in the ‘third eye’ until the sekhem energy was depleted and I found my consciousness back in my normal state, my view once again that of my earthly home. I bear witness in the Name of Allah that these events are 100% true and recalled to the best of my ability. I feel extremely fortunate and very blessed to have experienced it. I hope that you all are able to do the same. Q60: What gifts do you get from opening the third eye? Muhammad Rasheed - The opening of the 'third eye' is the gift. The phenomenon is experienced by the sincere truth seeker who diligently adheres to the Straight & Narrow Path towards enlightenment. At a key milestone moment, the adept will slip into an endogenous DMT trance state, and the 'third eye' hole/portal—opened about 6-inches before the brow in the 'veil between realities'—will reveal specific, custom-tailored imagery to aid on your journey. The event functions as a spiritual sign to those who believe and is no less than a pat-on-the-back of encouragement by the Supreme Creator of reality. There is no greater gift. Q61: Does spiritual awakening open your third eye? Muhammad Rasheed - It is a prerequisite to the experience, certainly. The opposite of being spiritually awake is to dedicate your life to a shallow materialist, greed-fueled existence. This is the type of individual that sacred scripture warns will have less of a chance at winning the eternal bliss of paradise than the effort it would take for a camel to pass through the eye of a needle. To be spiritually awake means that you love the promise of the next life more than you love the illusion of the material realm — those who are spiritually awakened routinely perform spirit-strengthening exercises (worship of the One God, charity, fasting, prayer, etc.,) that they build into lifestyle habits on the dedicated Righteous Path towards enlightenment. It is these and these alone who are positioned at best advantage to have an involuntary third eye opening experience, since the Wisdom Eye only opens as a spiritual sign of encouragement for those who are so committed to staying on the Path. 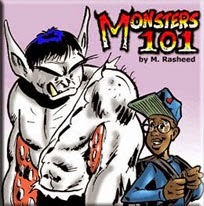 Muhammad Rasheed - Thanks for reaching out. Please ask your questions. I will answer to the best of my ability. Tertius van der Merwe - Thanks man. I appreciate your time. The very first glyph which looks a bit like an upright baseball bat, I cannot yet translate, but the next one, the raring cobra, I can recognize as a djed. The net two would be an im and then a nut. So my beginner translation would be: (?) djed in nut. CH Harvey has: djed medu in nut. 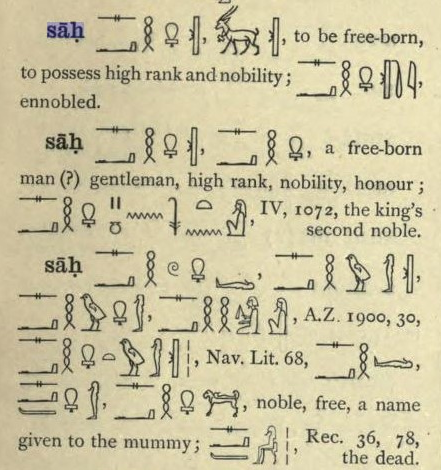 Then he translates djed medu in nut as: "Breathed is the Word sah bound-for"
So all of these puzzles leads me to my first question: does Mr Harvey explain the translation of the word Sah, which seems to originate in kundalini yoga, in any of his books? Thanks again for your time to answer my questions. Much appreciated! Muhammad Rasheed - Tertius wrote: "So I am scratching my head about where he gets the medu from." I'm inclined to think that he inserted it based on the context of what the passage was saying, similar to when translators will add certain connector phrases and et cetera in order for the other language form to make sense. He may also have seen it phrased like that elsewhere--and it fit in context--so he transferred it over for the same reason (or the reason the passage you read didn't have 'medu' in it is because of damage to the stele) that didn't have the 'word' . Without knowledge of the language myself, that's where my speculation takes me as regard to Harvey's methods and decisions. Tertius wrote: "does Mr Harvey explain the translation of the word Sah, which seems to originate in kundalini yoga in any of his books?" Tertius wrote: "do you still think there is something in it, in terms of opening up our 3rd eye, or is it a rabbit hole…"
Now that I've had my own third eye opening experiences, I now believe that the ancient master-teachers intended the 'correct meditation' techniques as a tool to hope to entice the third eye controlling forces to open, but the techniques themselves do not MAKE it open. Basically we're trying our best to duplicate the ideal physical conditions in hope that it will find the environment inviting enough to open for us. What actually causes the third eye to open is a sincere righteous lifestyle in accordance with the revealed guidance of the One God. In my words it would be something like: when the ego (primordial chaotic will) is overcome by the supreme Self, through the Word and the Law, the higher faculties of spiritual perception are opened within the human embodiment and the individual soul. Muhammad Rasheed - Tertius wrote: "So while I am not rejecting Mr Harvey translation completely, I am also not convinced that the specific word 'Sah' is indeed what was meant by the ancient scribes." 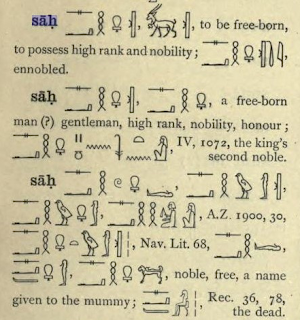 Based on the cross-cultural usage and the descriptions in the Pyramid Texts, the term "sah" isn't an actual word, but an onomatopoeic descriptor for the noise we make when correctly breathing outward during meditation. Describing it that way is part of the instruction and how the Shemesu Heru wanna-be can self-correct and aid in determining if he/she is doing it right. Tertius wrote: "...but I take words and sounds very serious..."
And you should, while also realizing that imbuing a term with imaginative meanings that it does not carry can impede the initiate's progress as much as falling to read meaning that the glyph does hold. Tertius wrote: "...it is totally possible that 'Sah' does have some ability to open the 3rd eye..."
Negative. 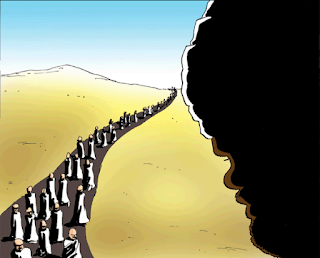 The controlling forces open the third eye on their own mysterious initiative and according to their own criterion. Our empirical, hopeful and ultimately vapid efforts function as little more than vanity packaged in lustful pleadings, which in the end do us little credit. Tertius wrote: "...to the rising Mother Serpents..."
This esoteric term is in reference to the sekhem/kundalini energy (The Serpent Fire of the Universe) needed to have the supernatural experience. Tertius wrote: "...I guess the saying 'everybody has their own Egypt' is still as true as ever"
lol It was never true, Tertius. The lore of the ancient master-teachers had very specific meanings with very specific functions. Representatives from the various cultures throughout the ages had varying successes in correctly deciphering the treasures. Tertius wrote: "Anyway, I appreciate your time man"
You're very welcome. :) I appreciated the virtual company. Good luck in your ventures. You mentioned Shemesu Heru - could you perhaps point me to some website or something that you would recommend as a decent introduction to the topic? I appreciate your insights. Thanks again!! Muhammad Rasheed - Hello again. "Shemesu Heru" is the Egyptian of the more well-known Greek translation "Shemsu Hor." The "Followers of Second Sight" are the exclusive club of people who've had a third eye opening experience[s]. I took on the title for myself once I had my own experiences this summer. Tertius van der Merwe - Ahhh ok! 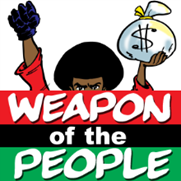 Not sure what that makes me, but of late all I want to do, is to gain as much as an understanding of the medu neter as I can. Every day I learn new "old" things. It's awesome. I really really appreciate your thoughts and insights. Thanks again! Muhammad Rasheed - The species often has paranormal experiences and visions; it's only the Western Civilization culture that seeks to downplay the phenomenon as tricks of the mind in order to better control the masses. Having general second sight experiences isn't unusual it turns out. What makes the third eye opening experience unique—it's signature brand trait, so to speak—is that all paranormal visions are shown through a mysterious round hole that appears approximately 6-inches before the brow. If any of your mystical experiences were revealed thusly, then you may also rightfully title yourself as a Shemesu Heru and join the ranks of those blessed to view the unseen through (and even enter into!) the UDJAT Wisdom Eye of legend. Nope. In my case it is not visions, nor did anything unusual happen in that area in particular for me... I would rather describe some of my experiences as a ten tun truck running over me, then stopping, reversing, and running over a 2nd time. But I would not choose to have it any other way! I am very grateful for this incarnation, and the life I have live. Anyway, its been a pleasure to chat. I guess I'll not go down the road of studding Harvey's material then. I would rather study the material directly, will probably take me years to master, but that's not a problem. Thanks again for the solid advice, and insights. Much appreciated. Muhammad Rasheed - No problem. Anytime.